Paintings, pictures and movies. Music, dance, and theater. There are so many varieties of art.Even martial arts are talked about frequently. But one often overlooked form of art is the ability to get a quote from your metal roof manufacturer, or any contractor, for that matter! WHAT DO YOU WANT FROM ME?!?! For contractors and manufacturers, giving quotes can be a difficult thing. The client often expects much more than what we are able to provide. And not only that, but they want it yesterday! At Metal Master Shop, we love to help our clients to understand what metal roof is best for them and what the price will be for their project. But, we don’t make wild guesses. The first thing you want to do is understand what information you are hoping to get, or in other words, be realistic. A quote is an estimate of the cost of a project. Details like material, coatings, amount, pitch, accessories, edging, gutters, etc will all affect the price point. While, you don’t have to know all of these details, you do need to have a realistic idea of what goes in to giving you an estimate. Be patient as we try to work with what you can tell us. Your roofer would be able to give us the best information to acquire the most accurate estimate possible. If you don’t want to go through your roofer, follow the steps below. A picture is worth a thousand words – we need a picture or a drawing of your house. It doesn’t have to be perfect. It doesn’t have to be professional. Blueprints are our favorite! But even those aren’t absolutely necessary. The picture is simply to show us the shape and style of your house and roof. It gives us an idea of how many ridges and hits there are. And the trimming, side walls, slopes, end walls, etc etc. Not every house has all these features, but whatever features are there will affect the overall price. Not all roofs are created equal – please give us some measurements. Again, exact measurements by a roofer or inspector are ideal in this situation. But if you know rough estimates then we can try to work with that too. Tell us the type of roof you want. If you already know the gauge, material, coatings, or any other information about the metal you are looking to purchase, please let us know! Our metals range in price and it will go a long way toward giving you an estimate that is closest to the real amount. 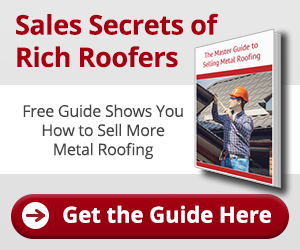 We manufacture and supply the metal roof, but we do not inspect or install it. We are not able to travel to your house to do measurements or record roof features. But all of the contractors we work with know how to do this and can request a quote for you if you ask them. We understand that there are more and more homeowners like you wanting to know what the costs would be without going through a contractor or middleman. If you keep these things in mind, then we can both win in the struggle it sometimes is to get and give quotes! And remember, you are not a burden! Never feel bad about calling us to ask questions. We love to hear from you!